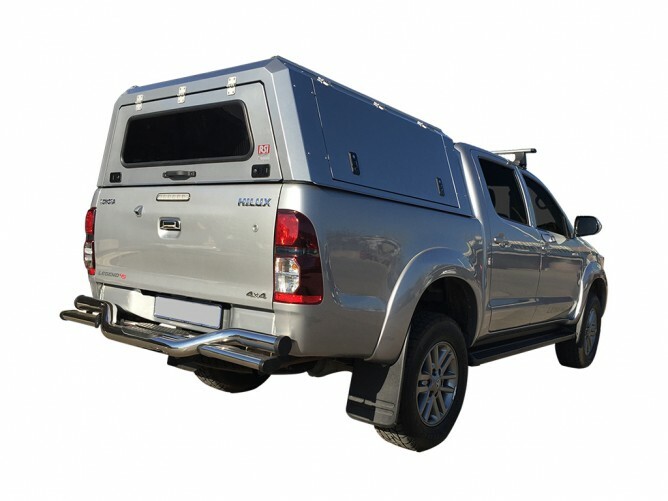 RSI Smart Canopies are available for the latest model single , extra and double cab vehicles. 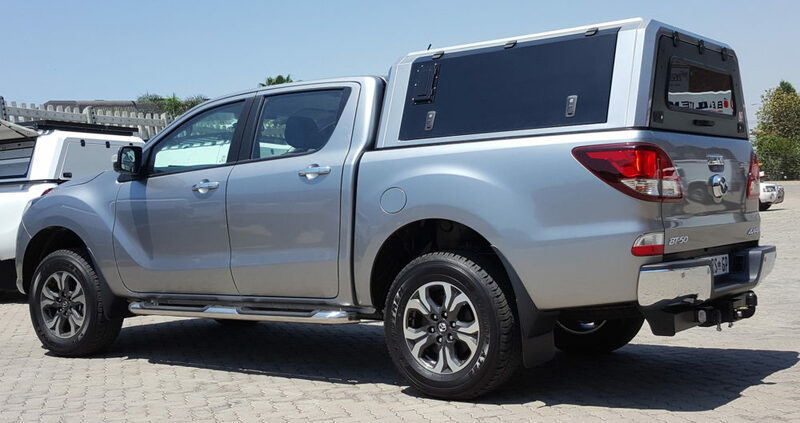 (Land-Cruiser Included) The lead time to produce a RSI Unit is around 14-20 workings days and your vehicle is required for 2 hours for fitment. 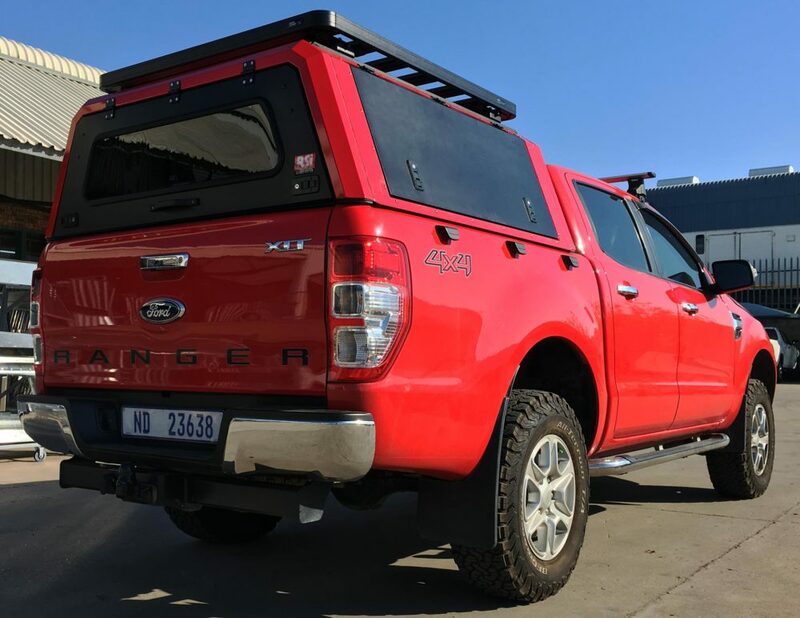 RSI Smart Canopies™ are more than just a tough, safe and reliable high-quality pickup truck canopy with an abundant level of key features – Durable Light Weight Stainless Steel construction being top of that list. 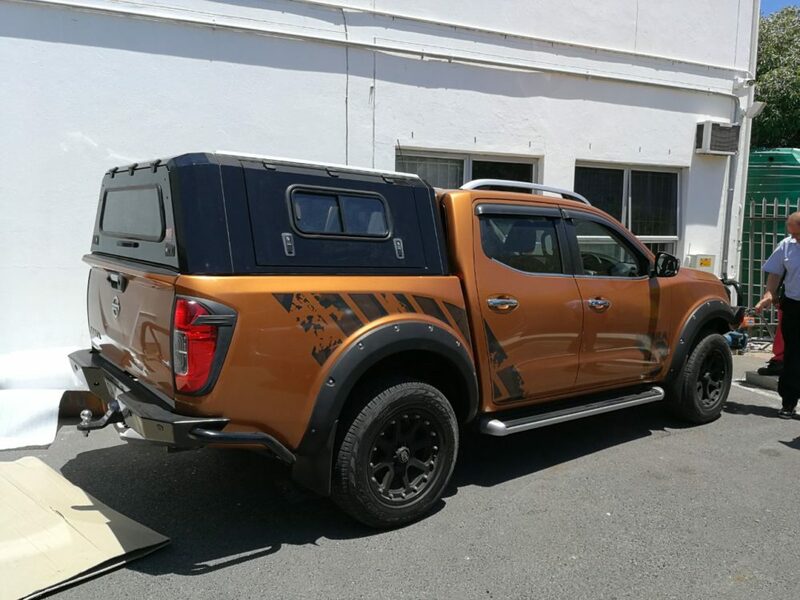 and can stand the toughest off road conditions.The product is made from Automotive Grade Stainless Steel and has a lightweight design, less than 85 Kilogram’s (Double Cabs) and is extremely durable. 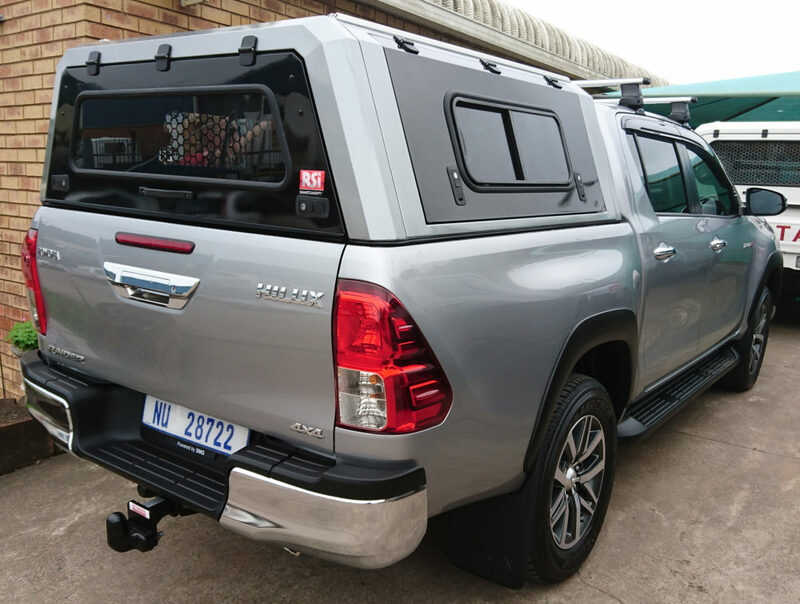 Optional extras that can be included in your canopy: Side Sliding Windows, Cab Sliding Window, Anti-Theft Rear Door Mesh, Roof Mounted Table Unit, Internal LED Lights and Air vents. 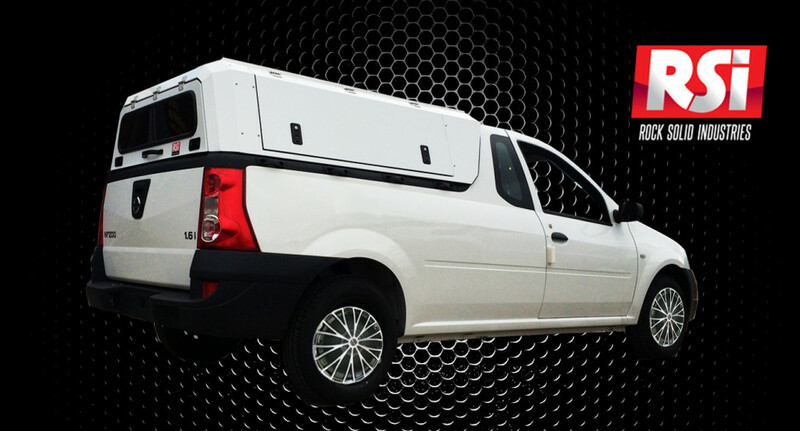 You can design the Unit Exactly to your specifications and requirements. 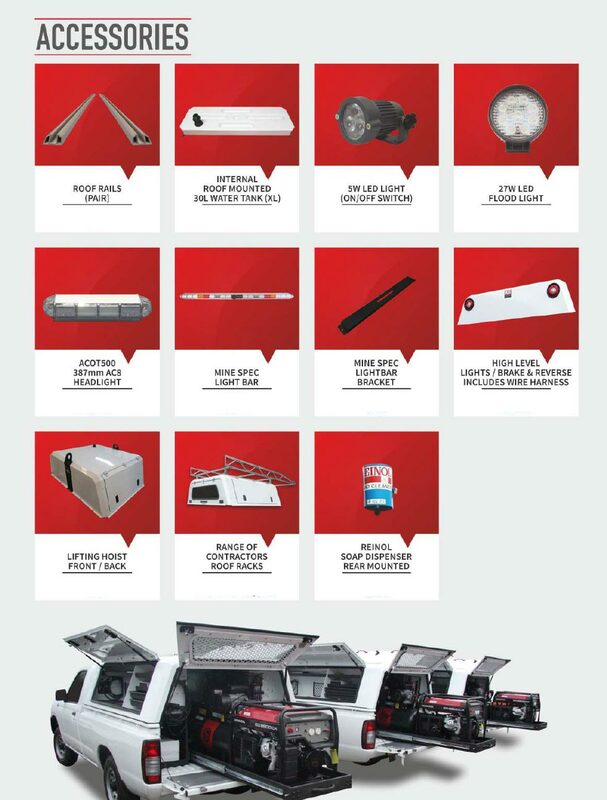 All RSI Smart Canopies comes with full 1 year comprehensive warranty on all parts and workmanship. 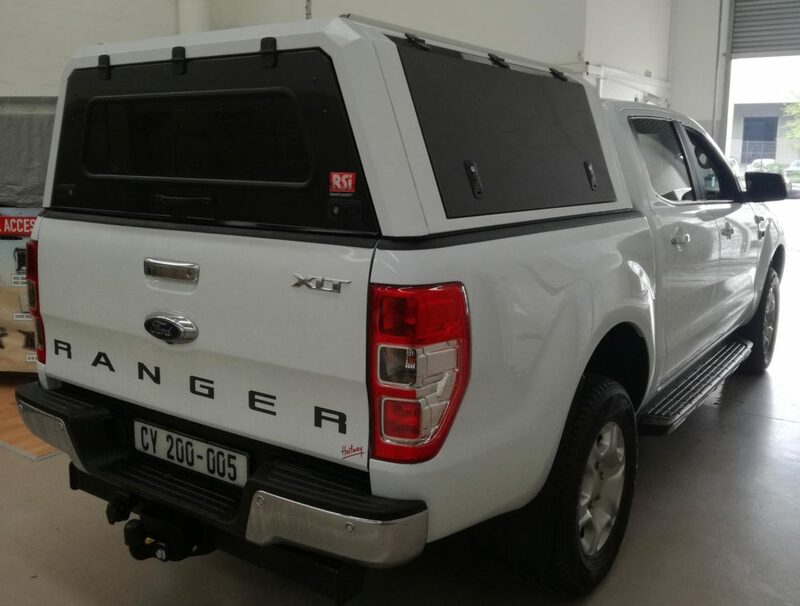 The unit is Fully Secure with insurance approved Key Alike Locks ensuring your peace of mind. 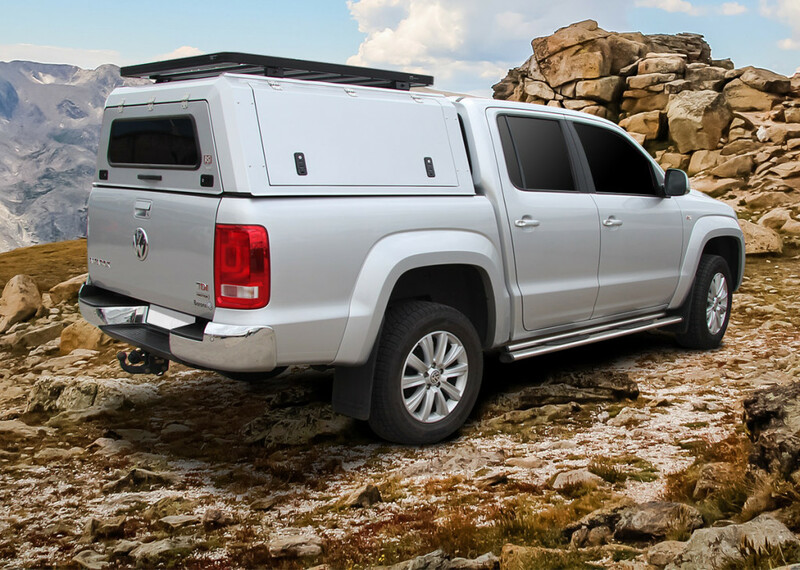 The Unit is Weather Proof Ensuring your Canopy is Protected from the Elements. Are you going away? 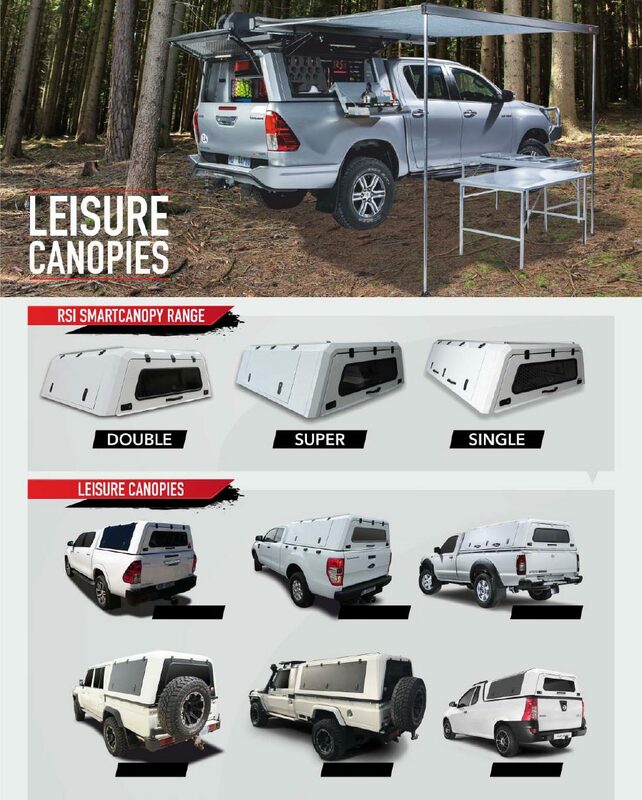 Do you need a Canopy now? Three Week lead Time too long? 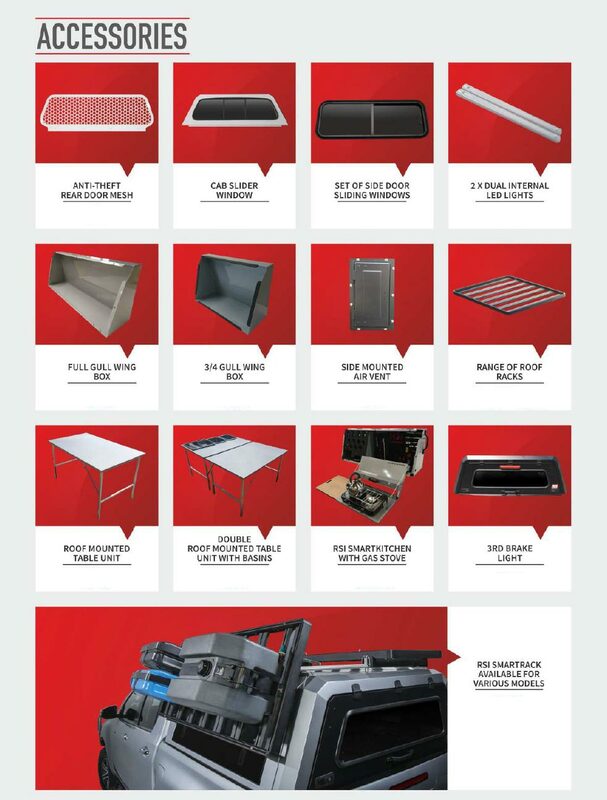 We will give you a loan canopy. 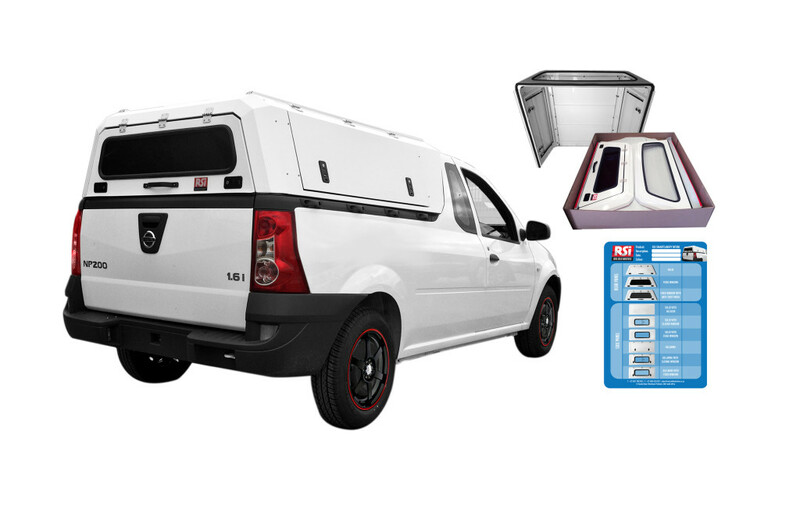 When your RSI Smart Canopy is ready, you may come and have it fitted and return the Loan Canopy. 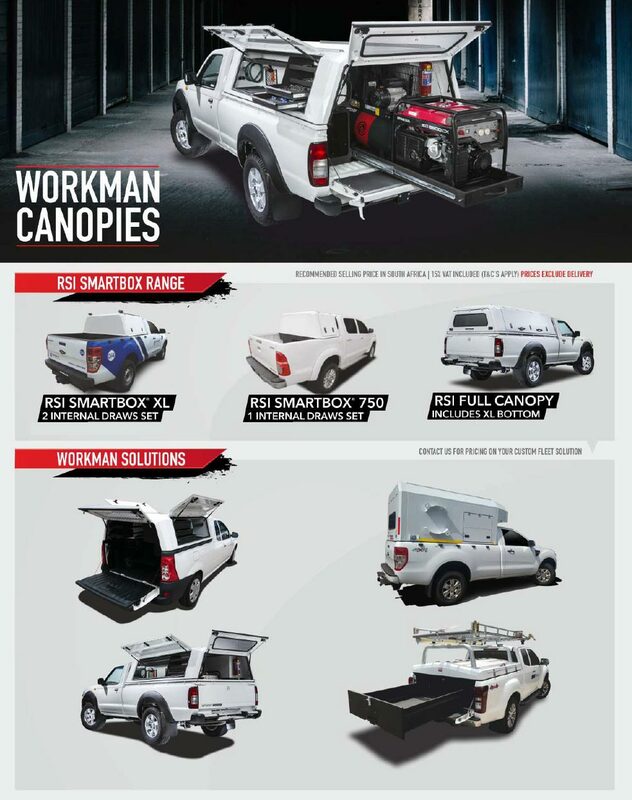 Scroll to the Bottom of this page for the Pricing Guide..
Visit our main page www.midrandcanopies.co.za for more options.